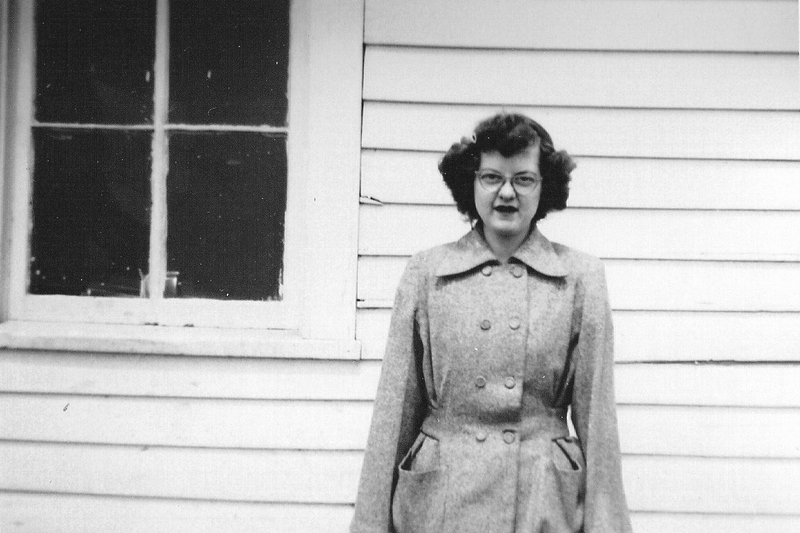 Maudie Ratliff outside Bohannon School, about 1950 or 1951. Maudie Ratliff (20 July, 1928-19 July 2018), from Ethel, Missouri, was until recently one of the two surviving Bohannon School teachers. In 1949, with a year of college behind her, she brought a level of professionalism and teaching competence probably not seen at Bohannon School for some time. She had a way of establishing demanding expectations, while keeping a friendly rapport with the students. Miss Ratliff set a high bar for future teachers at the school. 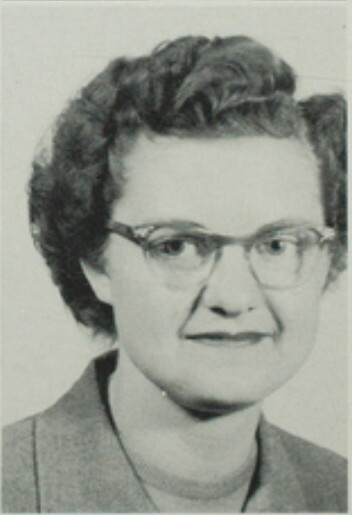 Maudie Ratliff at Truman State College, 1956. The picture links to her memorial page on the Find A Grave website. During her Bohannon tenure she boarded with Everett Phillips, and walked to school across the fields with student, Lillie Jean Phillips. She instituted a system of hygiene, including fingernail inspections, and tooth brushing, that caused a stir among some of the students, cleanliness being an unnatural challenge for kids doing farm chores before school, but it was successful, and gold stars were awarded and pinned to a chart. She also outlawed a mathematical procedure called "tapping," in which students doing arithmetic problems at the board did their sums by counting chalk taps. It made a thrilling clatter as students raced to finish first, but was certainly a step removed from arithmetic fluency. 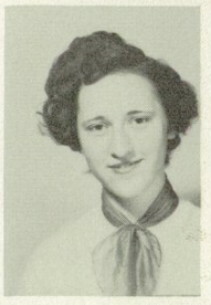 After her two years at Bohannon, Miss Ratliff went back to college, graduating with her degree from Truman State College in 1956. She spent her career mostly in Missouri, teaching school in several surrounding towns, including Macon, New London, and Hannibal, but ranged as far as Bloomington Iowa, according to news accounts. We even find her in Glorieta, New Mexico in 1963, as a seminary student with the Southwestern Baptist Theological Seminary in Fort Worth, Texas. There must be hundreds of people across the country who benefited from her dedication and skill. We had attempted to contact her by letter, to get some firsthand recollections, but our efforts were unproductive. Perhaps someone with more information, or even pictures, will see this page and respond. 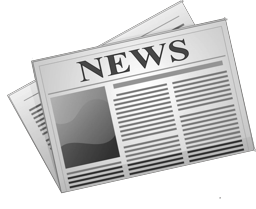 We've included nearby a few news accounts from over the years, and a link to the memorial page, which provides a little genealogical information. The picture at the top of the page was taken by Melton Trachta in either 1950 or 1951. He took several pictures of teachers and students using a little Kodak Brownie, 127mm camera he received as a premium for selling Mark Twain Seeds. Miss Ratliff is standing on the south side of the Bohannon schoolhouse, probably at the end of the term. Notice the pencil sharpener in the window, one of the few pieces of educational equipment in the school, along with a roll of pull-down maps, a globe, a few shelves of books, and a piano. We find little information about the McCann sisters, Margaret and Martha, but a resounding memory of Bobby Rufener involves them (see memories, below). The McCann's started school late, after the term had begun, and they left early. They arrived across the fields from the direction of Everett Phillips place, but exactly where they lived is not known. They endured a little indifference from the students, as new kids always do, but were quickly accepted as part of the natural order. Where they came from and where they went is a matter needing enlightenment, and it is hoped someone will contact us with something about their experience. The arrival of the Wray family was an important injection of vigor into the Bohannon school. Jim and Lou Wray became active in school affairs, and with the help of the older, established families in the area, a strong push was mounted to defend Bohannon School from the gathering forces of consolidation. 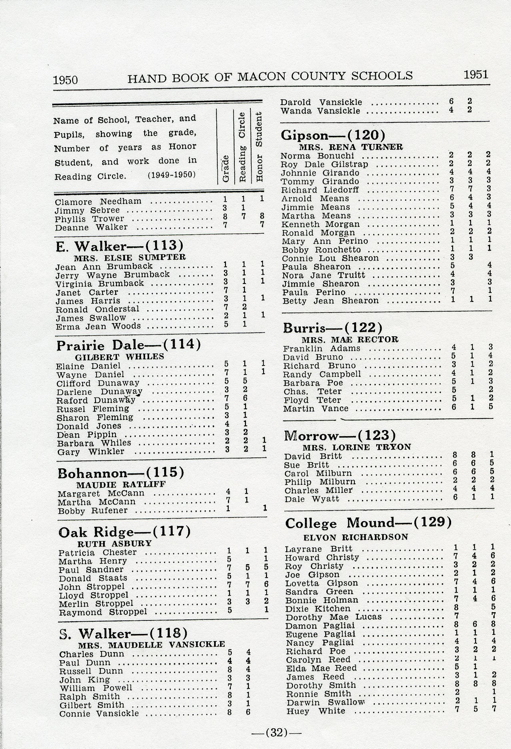 Rural schools were being closed, and the students aggregated at regional schools. Some were bussed to the Macon school district. Local parents didn't like that idea because of the inconvenience. Children were needed for vital farm chores, for one thing, and the extra hours required to get to school might have meant earlier departures from education. Jim Wray was elected president of the PTA soon after arriving. An immediate benefit of additional students in the school community was increased interest in playground equipment and other niceties. When the Trachtas arrived the school yard was a largely vacant acre of grass land. Children played variations on the game of tag during the recesses, fifteen minutes in the morning, an hour for lunch, and twenty minutes in the afternoon. With the help of chilli, and oyster suppers, and other entertainments, money was raised for soccer balls, softballs, bats, and, the crowning achievment, a four-seat swing set. The well was even cleaned and maintained, and the outhouses moved. Inside the classroom, a set of pull-down maps was purchased, along with a few new books. School desks similar to Bohannon desks. Now to that memory of Bobby Rufener. 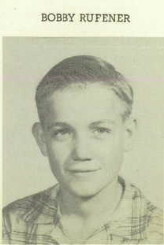 Bobby was the third oldest of the Rufener boys, after Gene and Jimmy, and brought a liveliness and personality that shaped the school experience. Like all the Rufener boys, he didn't lack confidence or cripple himself with inhibitions. One day, shortly after the McCann sisters had left school, Bobby was crossing the classroom at the back, probably on his way to the pencil sharpener. 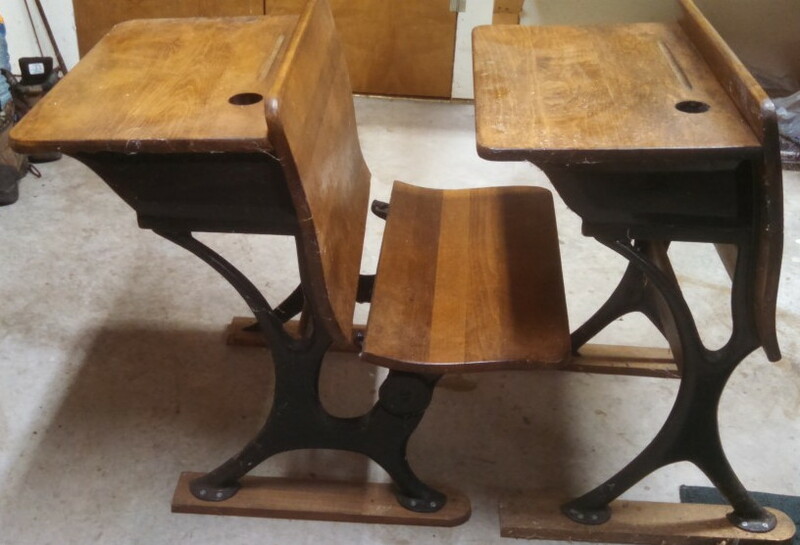 The desks in the school were those old fashioned wooden ones similar to that shown above. Books and pencils were stored in the space below the desktop. No one was trusted with ink, of course, so the wells were empty, frustrating the boys who'd read Mark Twain. As Bobby passed behind the two desks that the McCann sisters had occupied, the classroom quiet was interrupted by an emphatic, "GeeeZuss KerrrIiiist!!!" All turned at once. Bobby was pointing to the book compartment of the two newly vacant desks, astounded. "The McCann's left all their stuff!" It was true. Books, pencils and tablets were right where they'd left them, raising the question in everyone's mind of what had become of them. It was a mystery never solved, but the memory of Bobby's discovery remains with all who heard it. Exactly how Miss Ratliff handled the interruption is not remembered, so it must have been effective. One of the popular recess games was called "Andy Over," or "Handy Over," I was never sure which. Two sides were chosen and went to opposite sides of the school house, out of each others sight. One team attempted to throw a softball, or soccer ball over the school house. The other side attempted to catch it. If caught in the air, the ball was used to strike members of the opposite team, capturing them from the other side, in a sudden raid around the corner of the building. If not caught, the ball was thrown back. Strangely, there was little cheating. Having all ages in a single classroom was like having an extended family of siblings. The older children encouraged the younger ones, and the younger ones benefited from hearing the tutorials of the older classes. It was a distinct comfort to an often bewildered second grader, struggling with the vague conepts of grammar and cursive writing, to look across the room and see Rose Ann Wray's big-sister smile directed toward him. Couple that with the entertainment provided by Larry Walker, and the goodwill of other upper classmen like Gene Rufener, and the experience was altogether supportive. A benefit of the single classroom was hearing the recitations and lessons of all the classes. Hearing younger classmates struggle with things already learned, and older classmates recite things to be learned in the future, was a second-order learning experience of continual review and preview. Larry Walker figured in one of my most vivid memories of upper class recitations. His class was sitting on the stage at the front of the room, beside Miss Ratliff's desk, receiving instruction on something in which the causes of fainting was discussed. I was aware of the lesson, paying some attention to what was being said, but in the main completely engaged in some task of my own. When the recitation ended, the class, maybe four or five students, rose and left the stage for their desks. As Larry stepped off the stage, he suddenly pitched forward and crashed to the floor like a sack of corn. He lay there, dead to the world, everyone assuming he'd just fainted, illustrating the just received lesson. After an interval, maybe twenty seconds, Larry rose, laughing, and proud of himself for his convincing deception. And, it was good. I later tried duplicating his fall, but was unable to make it convincing. How he managed to crash down like a pole-axed yearling, with no attempt to catch himself, is still a wonder.